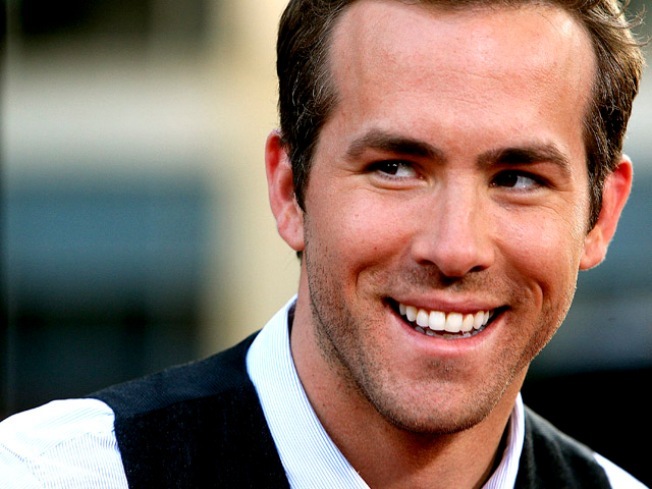 Ryan Reynolds said he's got a superhero "double whammy" on the way. The star, who is set to play characters from two rival comic book universes – DC's Green Lantern and Marvel's Deadpool – sat down on "The Late Show With Jimmy Fallon" to discuss his super-roles. "[We're] four, five months away from beginning shooting," he said of "Green Lantern." "It's the only job I've ever had that I'm not allowed to talk about. I think there's a representative from Warner Bros. who I'm sure is following me around, ready to blow-dart me if I say a single word." What he could reveal, though, was the movie's interstellar setting. "A lot of it is a space epic, some of it is on planet Earth," he said, explaining the abilities of his character, Hal Jordan, come from a potential-filled power ring. "The ring can create anything his will or imagination can conjure up." And with "X-Men Origins: Wolverine" spin-off "Deadpool" in the works as well, Ryan relished in his geek chic. "At this point, it just makes you like an Internet hero, nothing really more than that," he told Jimmy. However, Ryan admitted to checking himself out online – and being surprised at the results. "It's the great equalizer," he said. "I found a couple of Web sites that are real – one was, 'Make Ryan Reynolds your beyotch.'" And he said another, BeatingRyanReynolds.com, devoted to beating Ryan's time from the New York City Marathon last November, was also a surprise – in a good way. "He's basically running the marathon only to beat my time, but the kicker is, he's doing it for the Michael J. Fox Foundation, so he's actually a stand-up guy in my opinion," which Ryan said, explaining that he had also run the marathon for the charity.